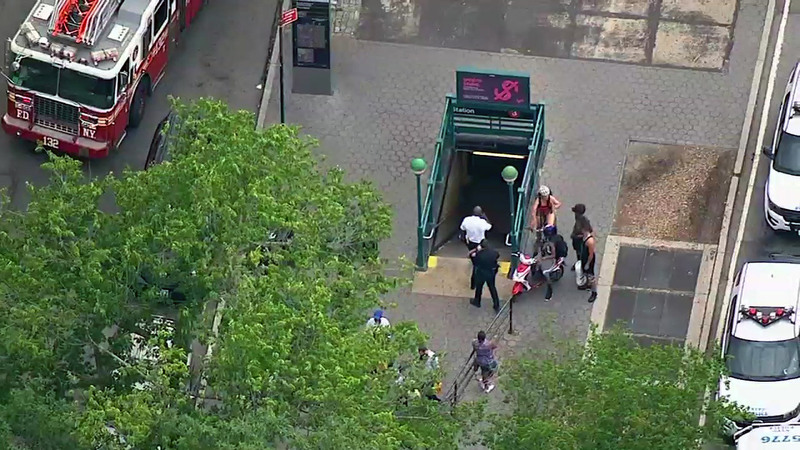 CROWN HEIGHTS, Brooklyn (WABC) -- A man died after falling onto the train tracks while walking between subway cars in Brooklyn Wednesday. The 37-year-old man was apparently on a No. 5 train near near the Franklin Avenue station in Crown Heights. He fell at about 4:30 p.m. Firefighters worked to get the man out from underneath the train. He suffered serious injuries and died a short time after being taken to a nearby hospital. Police said the man's death appears to be suicide. The MTA said service was disrupted on 2, 3, 4, 5 and 6 trains following the incident because the power has been shut off to the tracks. Service has since been restored with delays.